Return to the Faith Chapel Care Center Homepage. 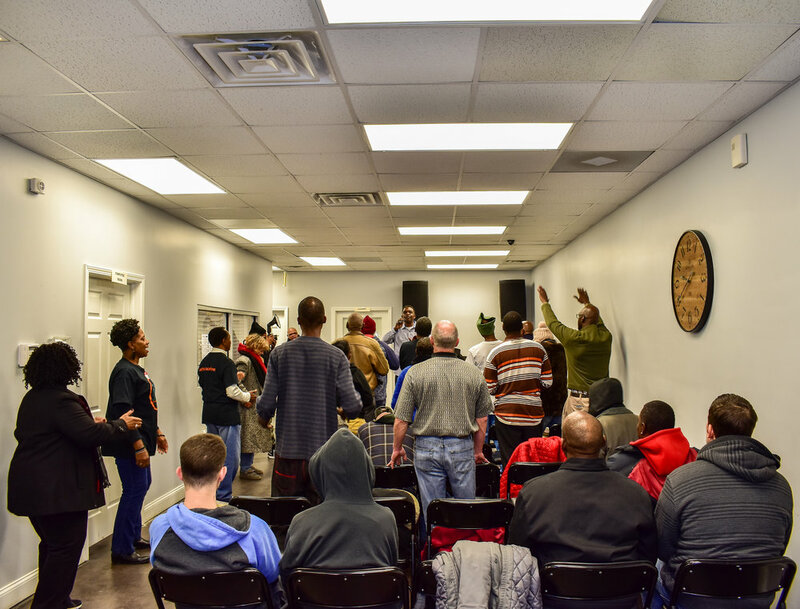 The Faith Chapel Care Center boast many weekly programs and services to assist the local Homeless Community within the City of Birmingham. Check out everything the facility has to offer below. 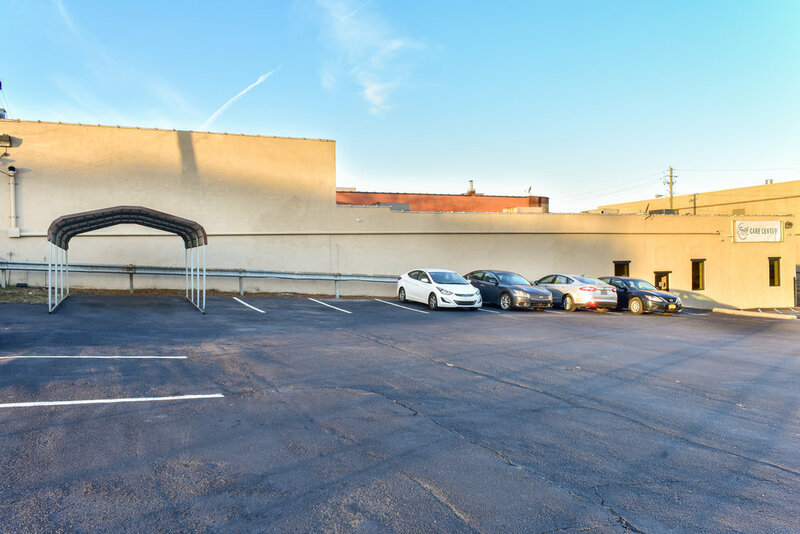 Free Parking spaces are located on the front and side of the building. Guest are checked in individually (security checks are performed). During the check in period guest can submit personal laundry to be washed as well as sign up to use the shower facilities. Refreshments are served during this time. Guest participate in Worship and Ministry Time during their time at the Faith Chapel Care Center. A live band leads the group in worship through songs and prayer. A Faith Chapel Minister also give Words of Encouragement rooted in biblical principle. 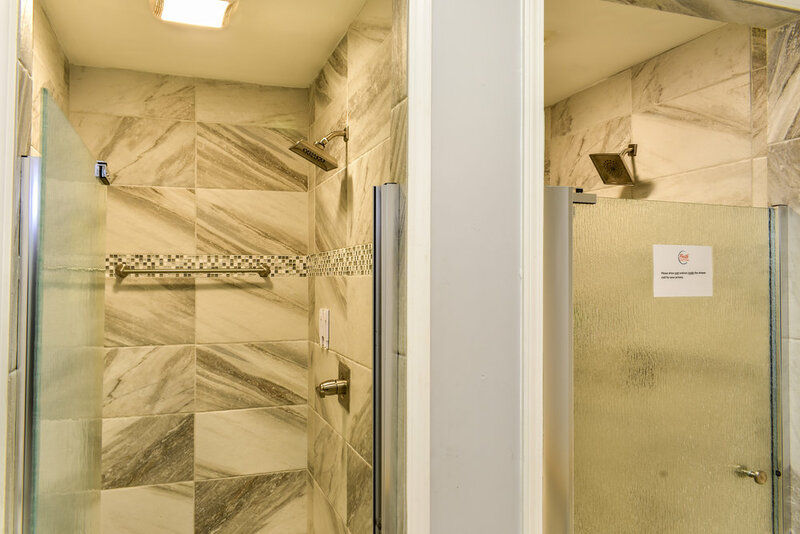 Guest are able to take showers in the facility's private shower stalls (soap is provided). Laundry Services are also available to Faith Chapel Care Center guest. Clothes are laundered by volunteers. We ask guest if they are in need of personal care supplies. These supplies are kept in our Care Pantry. Everything from shoes, socks, clean underwear, and personal toiletries are available to guest for free. Want to donate to our pantry? Click here to learn how. A public media/computer room (with printer) is available for guest to apply for jobs and take care of personal business. Private Counseling Rooms are also used for individual and group ministry sessions. Licensed Healthcare Professionals provide wellness checkups as well as treat guest suffering from minor illnesses. 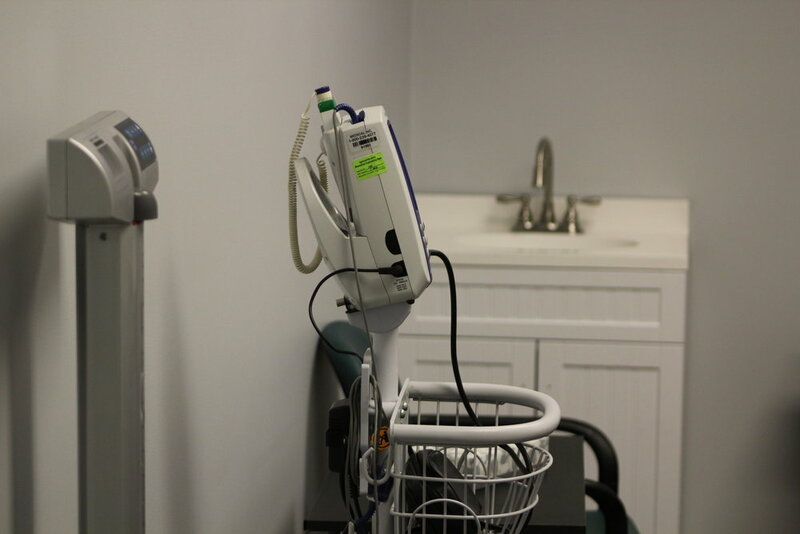 The healthcare services are provided within a fully-equipped medical room located inside of the Faith Chapel Care Center.